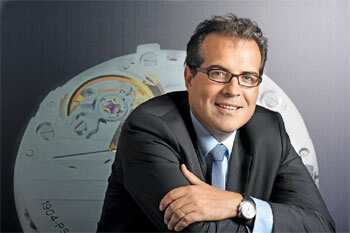 Key market: Thierry Lamouroux says India has a strong culture of luxury. What is Cartier doing to manage economic crisis? We have the world’s strongest network of boutiques in the jewellery watch business—around 300. Every month, we get figures coming from these boutiques. Therefore, we know, better than anybody else in this business, what is selling where and in what quantities. Also, we are a large Maison. We have intelligent people working in our supply chain, marketing and sales. We know, to a large extent, what Japan wants, what China wants and what the United States wants. We manage with all this information. We know exactly what to make for whom. Are you investing in capacity? Or are you being cautious? We expanded capacity considerably last year. And we plan to keep expanding in 2011 and 2012. But we do not discuss actual production numbers or figures with the media. Given the economic crisis, what is your long-term perspective on the luxury business? It is very difficult to forecast this business. But one thing is sure: you have India, China, Brazil... If you take a 20-year perspective on the luxury business, I think it will see very strong growth. Some people internally thought I was being stupid. But I knew a slump was coming. You have to react. You have to see your figures. What does your graph tell you now? At this stage, we have exceptional figures. The trend is booming. But you don’t know what is going to happen in one month. Italy could collapse! Who knows? But like I said, the global picture for the next 10-20 years is excellent. How are you doing in India? We are doing very well. The taxation policy is not good. So we really don’t have the sales network we could have. For us, India is very important. We have an exceptional history...relationship with the country. Some of my favourite pieces were made with the influence of Maharajas. This year, our high jewellery collection is heavily inspired by the Mughal art. India has a very strong culture of luxury. They know what is and what is not a luxury product. One day, when the taxation policy is better, we will have 20 or 30 boutiques. Like we have 40 boutiques in China. What is your male-female mix in the Indian market? It is hard to say. So many Indian and Chinese customers buy outside the country. So to say this accurately, we need to aggregate all this data, which is impossible. But our history has been largely concerning jewellery in India. Though I must say that this year, I saw quite a few Indian collectors at the SIHH trade fair in Geneva. Are you trying to boost your image of being a watchmaker? At the SIHH exhibition, we are really highlighting our watch movements. We have showcased the history of our watchmaking... This is to show people that we have legitimacy as a watchmaker. We have invested heavily in media. Image modification is happening. We are not just launching three products and waiting for the image to form. 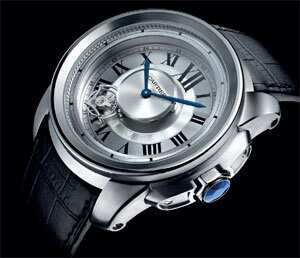 All in the image: The Rotonde de Cartier Astrotourbillon watch. It is a strong, thought-out strategy. Why are you doing this? Why are you investing in so much high-end movements? The world is evolving in a way that the customer is better-informed each year. So customers, especially male customers, don’t understand why we make such beautiful watches...but don’t put high-end movements in them. The decade from 2000-2010 has killed the idea of brands launching watches without high-end in-house movements in them. That era is over. The other perspective is the one of creativity. You have to be in-house because you don’t buy innovation. To be really innovative, you have to do it, build it, and imagine it in-house. You cannot buy a movement like the astroregulateur from the market! There are two elements to this strategy: build a modern image, and create innovation. So watch collectors are beginning to take you seriously? This year at SIHH, I saw collectors who came to me and said I’d have never thought to ever visit Cartier at the fair. They all came to me wearing their Richard Mille and Lange and they want to see the Astroregulateur and the Astrotourbillon. I don’t know if they will buy these watches. But they are beginning to take us very seriously.